Do you like art? But you do not have the time to go to a museum of art very often? Now you can have a piece of art in your living room. Sung Yong Hong is a great artist and he uses an old Korean painting technique. Its name is Ottchil technique. On the other side Samsung presents gold, curved, ultra-high television. And Sung Yong Hong is painting on it. The art and modern technique together. 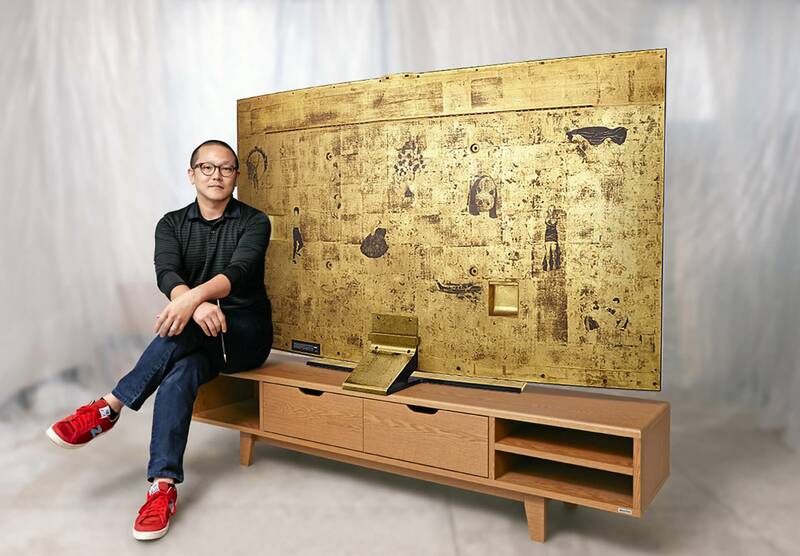 Ottchil technique decorates the rear part of Samsung´s new gold television. And there are many pictures of scenes from TV. It is like „Memory of TV“. This unique work is also possible to buy. A chance for lovers of art is here! From now is possible to have a television as a kind of art. Do not believe? Just read more! Samsung is very famous company, Sung Yong Hong is Korean uncommon artist. Their cooperation means something special. Sung uses old Korean painting technique named Otchill technique. Samsung has made new, gold, curved ultra-high definition television. And Sung has been painting on the rear side of this TV. There are scenes from television – whatever you can see, what you love on it or just remember. It is like „Memory of TV“. This great art supports Orbis, company protecting your eye health, because it was auctioned at Christie´s in Hong Kong during autumn 2014. This limited edition is possible to buy, but you can expect very interesting price. But on the other hand there is art and technique – two amazing possibilities for one price.